The first and only comprehensive reference/solutions manual for managing food safety in low-moisture foods The first book devoted to an increasingly critical public health issue, Control of Salmonella and Other Bacterial Pathogens in Low-Moisture Foods reviews the current state of the science on the prevalence and persistence of bacterial pathogens in low-moisture foods and describes proven techniques for preventing food contamination for manufacturers who produce those foods. Many pathogens, such as Salmonella, due to their enhanced thermal resistance in dry environments, can survive the drying process and may persist for prolonged periods in low-moisture foods, especially when stored in refrigerated environments. Bacterial contamination of low-moisture foods, such as peanut butter, present a vexing challenge to food safety, and especially now, in the wake of widely publicized food safety related events, food processors urgently need up-to-date, practical information on proven measures for containing the risk of contamination. While much has been written on the subject, until now it was scattered throughout the world literature in scientific and industry journals. The need for a comprehensive treatment of the subject has never been greater, and now this book satisfies that need. * Discusses a wide variety of foods and evaluates multiple processing platforms from the standpoint of process validation of all food safety objectives for finished food products * Takes a practical approach integrating the latest scientific and technological advances in a handy working resource * Presents all known sources and risk factors for pathogenic bacteria of concern in the manufacturing environment for low-moisture/water activity products * Characterizes the persistence and thermal resistance of bacterial pathogens in both the environment and most low-moisture food products Control of Salmonella and Other Bacterial Pathogens in Low-Moisture Foods is a much-needed resource for food microbiologists and food industry scientists, as well as managers and executives in companies that produce and use low-moisture foods. 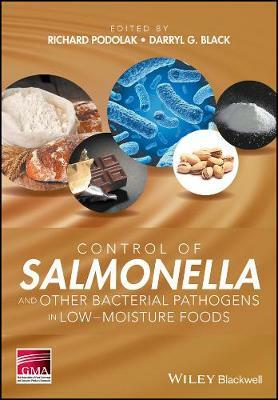 It also belongs on the reference shelves of food safety regulatory agencies worldwide.